The presidents of Russia and Kazakhstan met in Moscow on Thursday to discuss bilateral economic ties and the international situation. ­The incumbent Kazakh president, who has ruled the country since 1990, will compete with three other candidates in the polls on April 3. But few people doubt that he will not be re-elected. 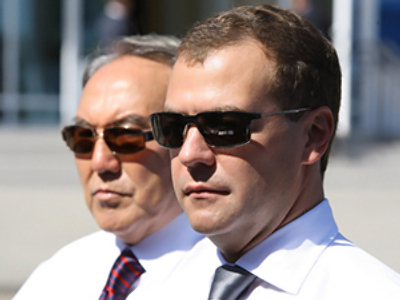 “We wish you luck,” Dmitry Medvedev told his counterpart at a meeting in Gorki near Moscow on Thursday. The situation when a leader comments on the upcoming elections in another country is “not quite ethical,” Medvedev noted. But he still said Russia respects Nazarbayev for his huge contribution to developing friendly ties between the two countries. This year is important for Russia as well, Medvedev said, adding that the country will hold parliamentary elections in fall. Both leaders are planning to meet at least ten times in 2011 on different occasions. 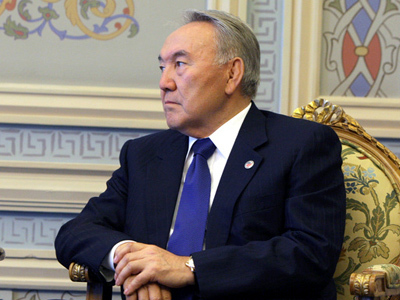 In particular, the Kazakh capital, Astana will host a summit of the Shanghai Cooperation Organization. This December will mark the 20th anniversary of the establishment of the Commonwealth of Independent States (CIS). 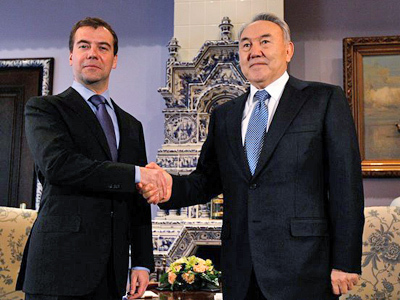 While discussing international issues, Medvedev and Nazarbaev highlighted the situation in Japan. The Russian president called the earthquake and nuclear power plant meltdown in that country “a colossal national calamity.” He expressed hope that the disaster would not harm other states. As Russia, Kazakhstan and Belarus are stepping up their activities in building a common economic space, customs posts on the Russian-Kazakh border will be shut down on July 1. 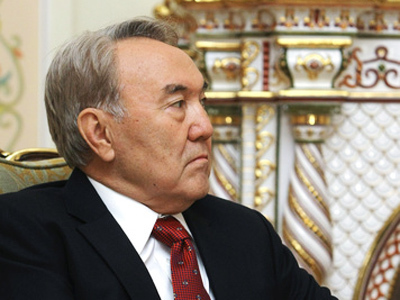 The posts will be removed as planned, Nazarbayev confirmed at the meeting. But Kazakhstan’s southern borders with Kyrgyzstan and Uzbekistan will be reliably protected, and “one must know that,” he warned. The common economic space of the three countries is scheduled to be launched on January 1, 2012. 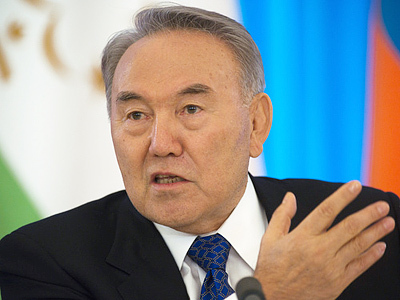 Nazarbayev described the plan as “a link between Europe and Asia.” Moscow and Astana are also closely co-operating on post-Soviet space in the framework of the CIS, the EurAsEC and the Collective Security Treaty Organization (CSTO).